I’m well into my second year of “smart-working”. Prior to that I “worked from home,” but smart working sounds a lot more glamorous and less agoraphobic. There are lots of reasons to love being a smart worker. The first one I can think of is that I’m not a morning person, I can just about grunt at family members first thing in the morning but the thoughts of actually interacting with the great unwashed human race on crowded public transport or in an office making small talk does not fill me with joy. I’m a much nicer person to be around after 10am. Smart working means that my morning commute is now less than a minute from the breakfast table to my desk. Sometimes I haven’t even finished my breakfast coffee before I sit down at my desk. However, there is a cloud to this silver lining. As well as having a chemical dependency on coffee, my years of commuting has led me to develop a bit of an addiction to podcasts. I’ve just checked my phone and I’m currently subscribed to just shy of 100 podcasts. 92 to be precise. I hadn’t realised that my addiction had spiralled quite so much but here I am. 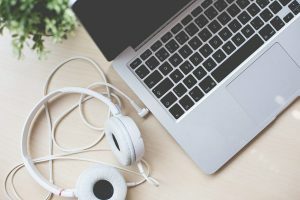 Unfortunately, due to my lack of commuting time, and the type of work I do – writing blog posts for businesses – I can’t really listen to them as often as I used to. I can’t even listen to music with lyrics while I’m working. There are a couple of podcasts that I can just about fit into my day on a regular basis, ones which clock in at well under the 30 minutes duration. I can justify listening to them while doing some administrative housekeeping, or even actual housekeeping. Sometimes listening to a podcast episode is motivation to get out of the house for a walk. Inevitably, many of them sit on my phone for months at a time. I’ve become a podcast hoarder. They wait, like piles of unopened newspapers, for the “some day” when I’ll get around to listening to them. Sometimes I purge them, unsubscribe from various series and delete some now very out of date podcast episodes about a distant Trump scandal from a seemingly more innocent time. The other downside to smart working is the proximity of my desk to my bed. At first they were mere feet apart, but I realised this was a terrible idea for a number of reasons and took over a spare room as my office. Occasionally, if I have been forced out of my bed at an unusually early hour the temptation to get back into it for a power nap can be almost overwhelming. I can hear my bed calling me through the walls. I’ll admit it, I have been known to indulge in an occasional 40 winks under those circumstances, especially in the catastrophic situation where a breakfast meeting (why me God, why?) happens to be on the same day as an evening networking event. In that case I feel entirely justified and have to nap in order to be able to function. But when the to-do list is just too long to allow the possibility of indulging in a siesta then I have to put a greater physical distance between myself and my bed. I’ve recently started using a hot desk which is close to where I live (about ¼ of a podcast episode away), but far enough away that I can no longer hear my bed calling me. My productivity has increased as my day napping has decreased. Meadhbh Hand graduated from Trinity College Dublin with a PhD in 2014. 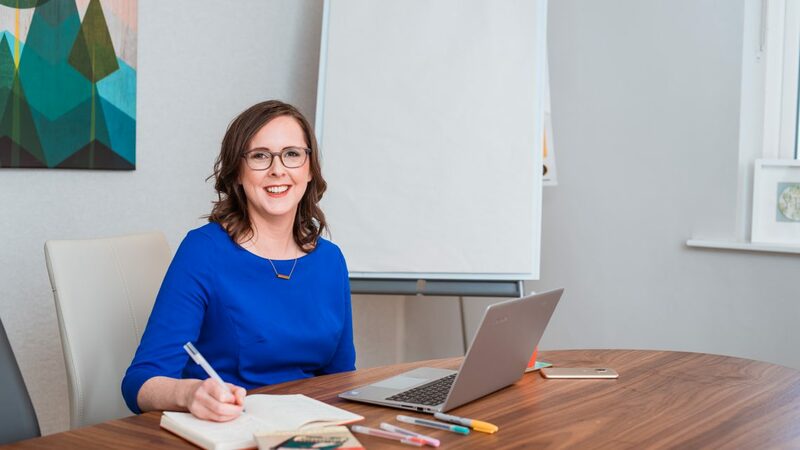 As the Business Blogger, she helps businesses to blog regularly to generate more leads, mainly in the B2B sector. 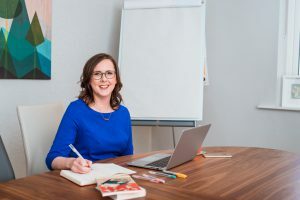 She usually writes in a more serious tone about topics like digital, technology and higher education but has written on subjects as diverse as networking, prunes, cognitive behavioural coaching and breastfeeding. Her own blog on entrepreneurship, creativity and business book reviews can be found here.